Is Harry Dent Right About the Demise of Precious Metals? The vultures are circling. Precious metals bulls, laid flat by gold and silver prices dropping for the 5th week in a row, are watching deflationists such as Harry Dent and the financial media squawk about the imminent demise of precious metals. We covered the superficial and condescending coverage of the metals markets in the financial press last week. Since then, the financial press has stepped it up even more. He tells us just how smart economists such as socialist Paul Krugman are, and just how silly and backwards gold-bugs are for questioning them. While he admires central bankers for adroitly managing monetary policy, he fails to mention they have also been net buyers of gold in recent years. Once again, the focus is entirely on heavy selling in leveraged futures markets, with no mention of huge buying demand in the physical markets. U.S. Mint sales of silver and gold American Eagles – a good proxy for sales of all coins, rounds and bars – surged dramatically in July. Meanwhile, hedge funds and speculators went net short on gold futures for the first time in history last week. This divergence is extraordinary. The deflationists argue that hugely accommodative monetary policy in the U.S., Japan (and nearly everywhere else in the world) has failed to produce real growth. 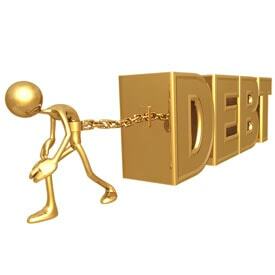 Debt and obligations to social programs such as Medicare and pensions are so massive they can’t be paid. Therefore, according to deflation forecasters, they won’t be. Their predictions of default and accompanying bank failures, bankruptcies, and surging unemployment were bolstered by recent news out of Greece. Falling commodity prices and economic malaise have reemerged. They claim zero interest rate policy and quantitative easing merely delayed the inevitable for a bit. 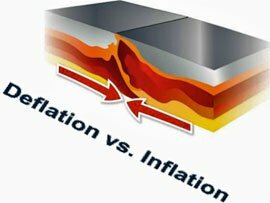 The inflation camp shares the conviction with deflationists that there is too much debt in the system. But they differ on the outcome. Harry Dent and those in his deflation camp figure that central banks and governments will ultimately be powerless to stop default. They think the purchasing power of the dollar will rise against everything else, including gold. We expect default to occur primarily through inflation, with debts stealthily repudiated through repayment in less valuable dollars. Deflationists have spent most of the last 100 years in the wrong. Recent events in Greece are only the latest example of officials staring deflation in the eyes, then flinching – they ultimately chose to continue printing and borrowing. The Chinese government’s response to selling in China's stock market provides another glimpse of what to expect. When push comes to shove, governments have limited tolerance for pain and will choose inflation, not deflation. It’s hard to understand the supreme confidence, and even condescension, from Wall Street reporters and deflationists crowing about lower gold prices. It’s not like they have ever been right about gold and the value of paper money – not in the long run. Oh well. Precious metals bulls will just have to grin and bear it for the time being.